University of Pennsylvania Silk Necklace with Enamel Charm & Sterling Silver Tag by M.LaHart & Co. Elegant University of Pennsylvania silk necklace with sterling silver loop with hinged opening to easily add charms. Necklace includes University of Pennsylvania logo charm and enamel vertical pendant., 100% silk necklace, 18 inches long, Sterling silver charm measures 10 mm x 10 mm and features color enamel logo, Attractive M.LaHart gift box with keepsake jewelry pouch, Exclusively at M. LaHart & Co. , , Officially licensed by University of Pennsylvania . Manufacturer direct from a trusted supplier. 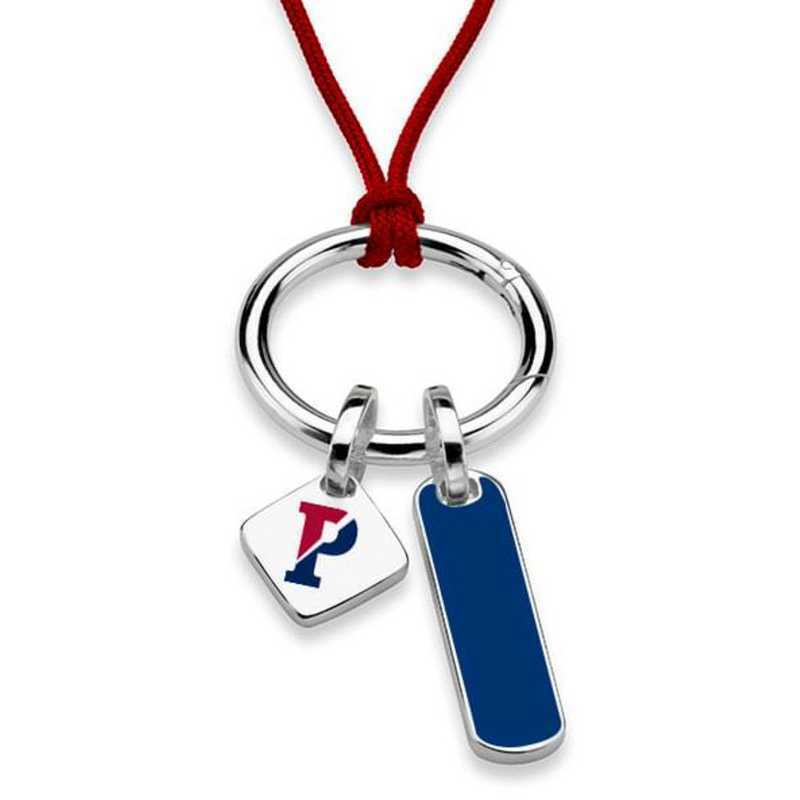 You're reviewing:University of Pennsylvania Silk Necklace with Enamel Charm & Sterling Silver Tag by M.LaHart & Co.